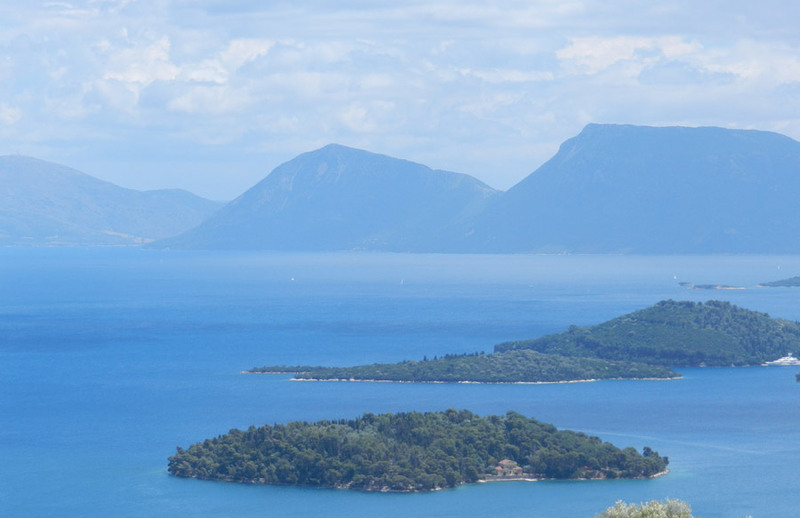 Lefkada is a complex of 24 small islands in the area between her east coast and the coast of Aitoloakarnania mainland. 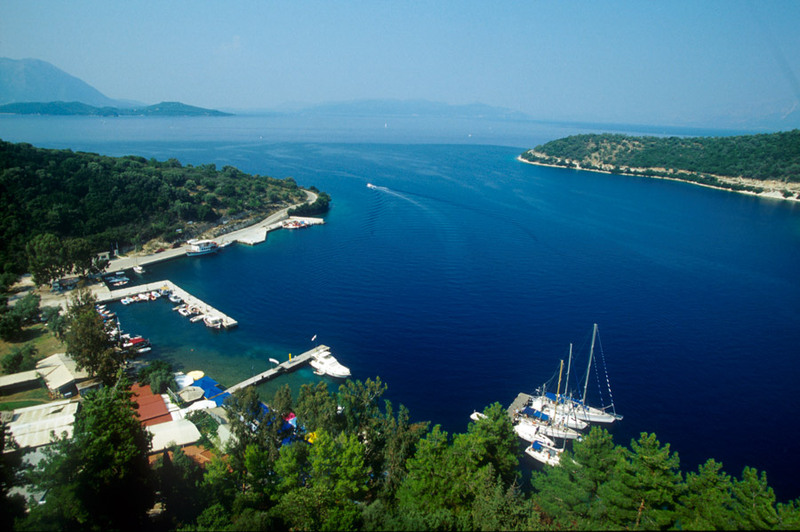 The lefkadian open sea resembles a mini archipelago with its green islands lying nonchalantly on the blue waters. From the beach of Nydri, looking at the east, right in front of you there are the Prigiponissia Islands. 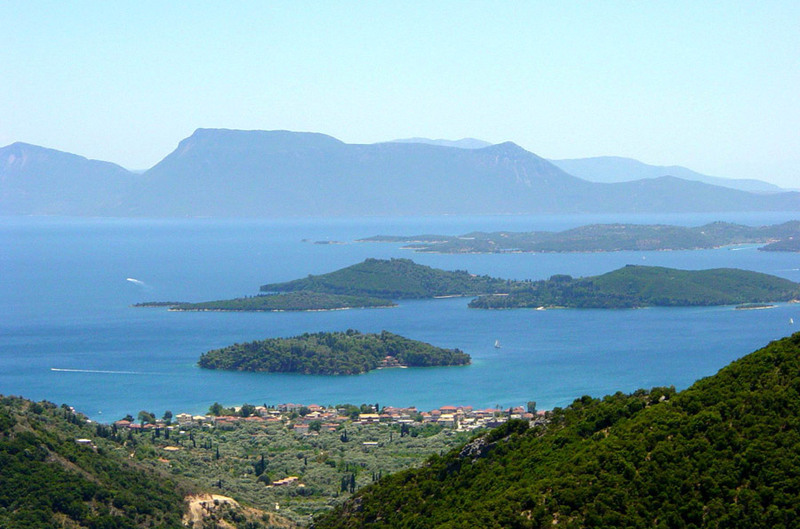 The first big green island within a distance of 1km is Sparti, which belongs to Aristotelis Onassis. 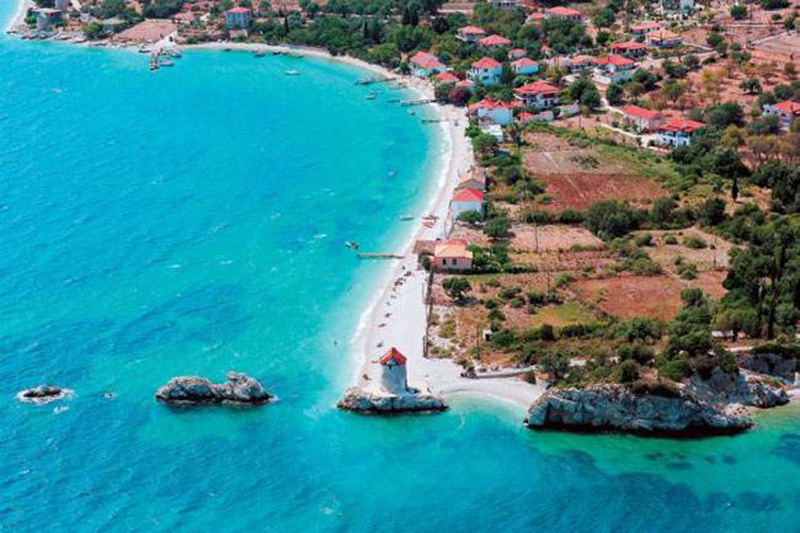 Close to Sparti there is another small island called Helonaki (little turtle). It has the shape of a turtle and it is full of olive trees. Madouri is in the south just 1km from Nudri. The island belongs to the Valaoritis family from the beginning of the 19th century. Aristotelis Valaoritis, our national poet, was the first to cultivate it with olive trees and vines. The poet was inspired by the view of the island and wrote his poems. Later his son, Ioannis, manager of the National Bank of Greece, afforested it. 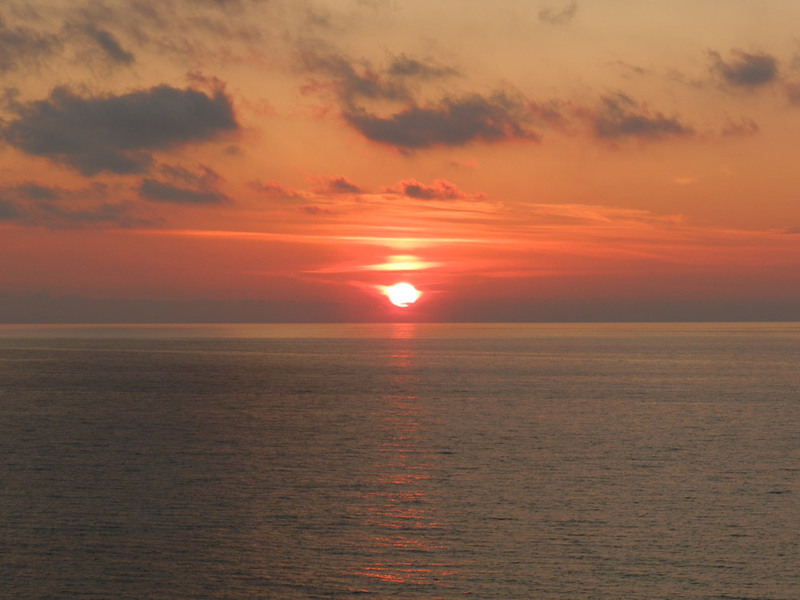 Today the circumnavigation of the island leaves you with a pleasant memory. In the north very close to Skorpio there is Skorpidi, another small island. Skorpio is at a distance of 2 km from Nydri. Initially it belonged to the state but by the end of the 19th century Mavroidis, a rich merchant, owns it. 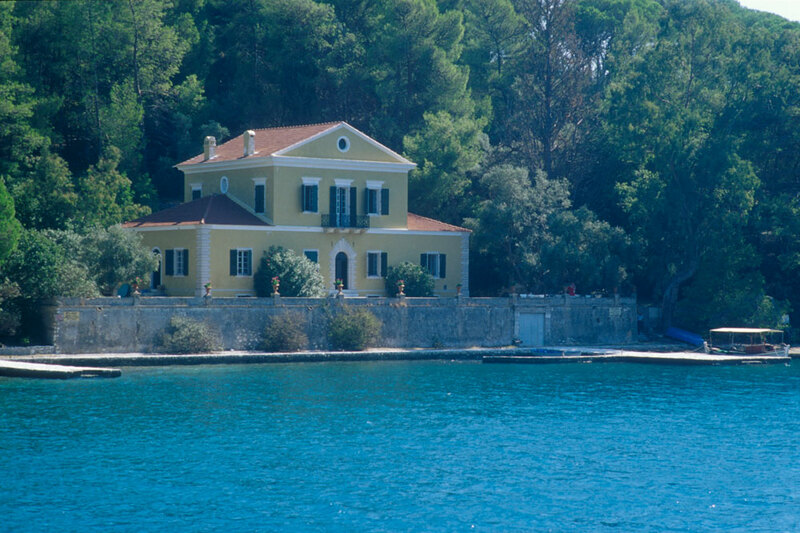 In 1951 a descendant of the Mavroidis family sold the island to a rich Lefkadian, George Philippas who lived in America. In 1963 he sold it to Aristotelis Onassis. 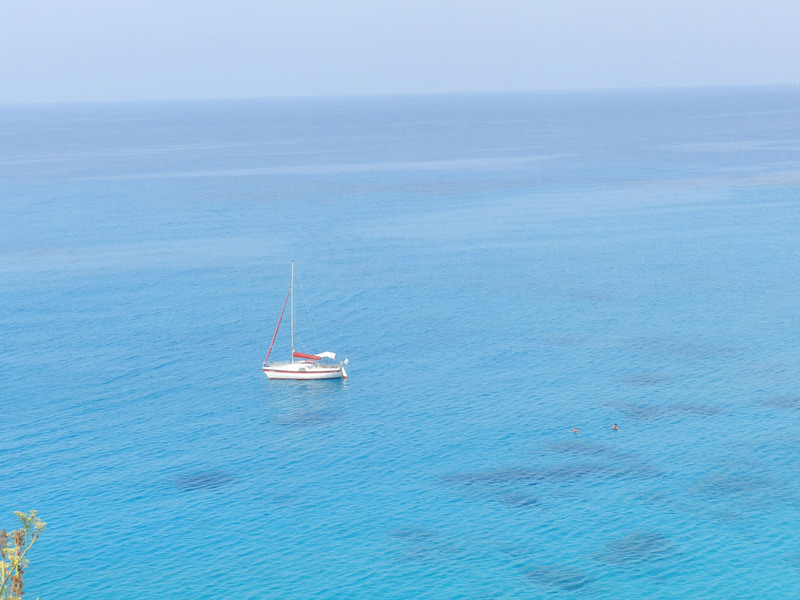 The Greek magnate fell in love with Lefkada at once and chose Skorpio to built his personal paradise. Onassis truly made the island a piece of art and invited the celebrities of its time. Maria Kallas, the Kennedy family, Greta Garbo and many others enjoyed this earthly heaven. 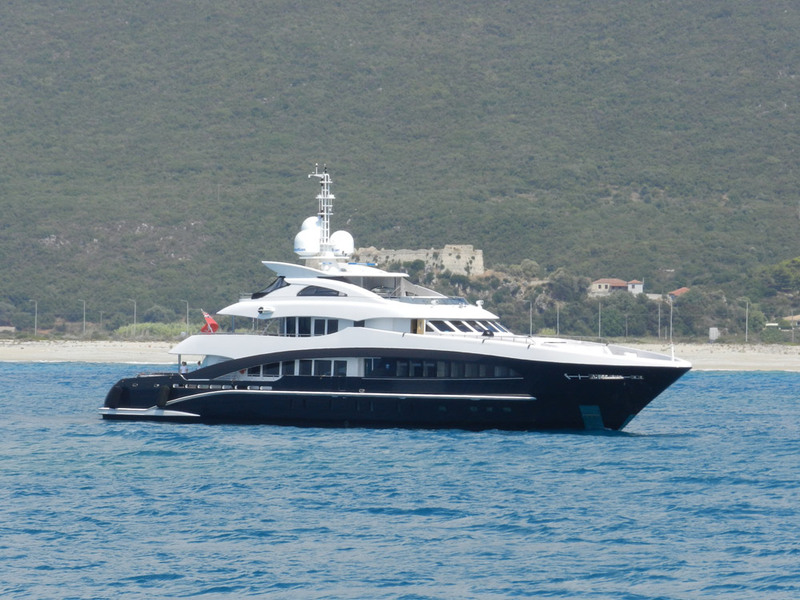 Onassis’ famous yacht “Cristina” anchored in Skorpios’ waters. Today the island is protected. 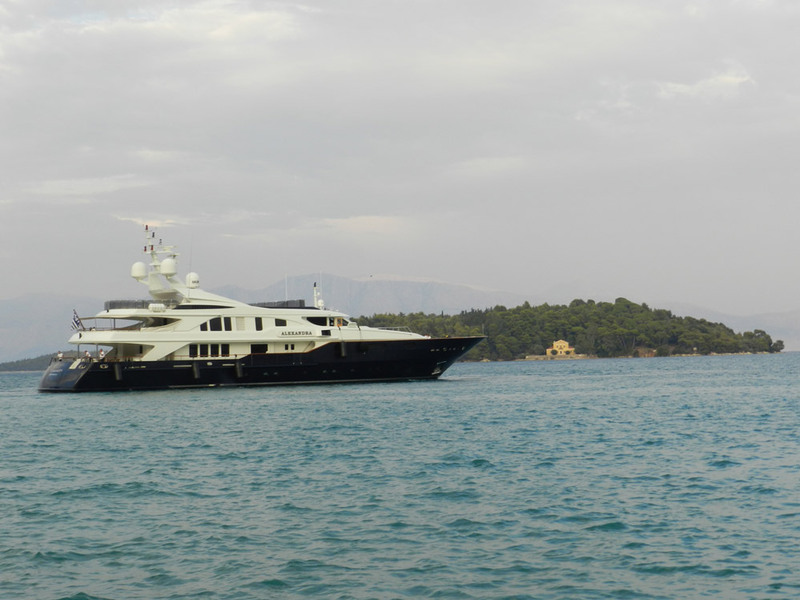 Every time Onassis’ granddaughter, Athena, visits the island the Lefkadians give her a warm welcome. 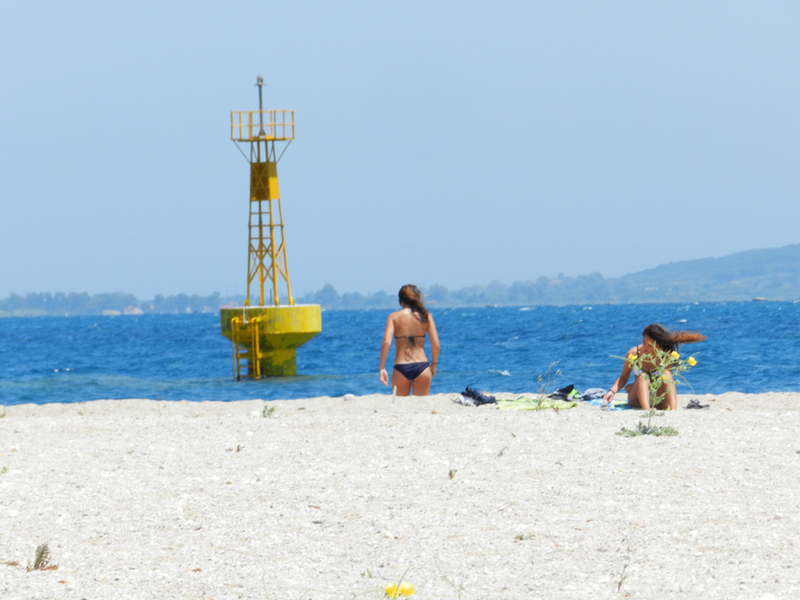 Visitors are allowed to swim in some certain beaches around the island. Meganissi : It is behind Skorpio, vertical to the gulf. 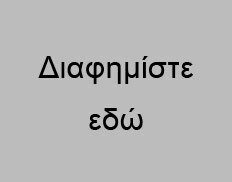 In the Antiquity it was called Tafos and Homer mentions it as the island of Tafion. 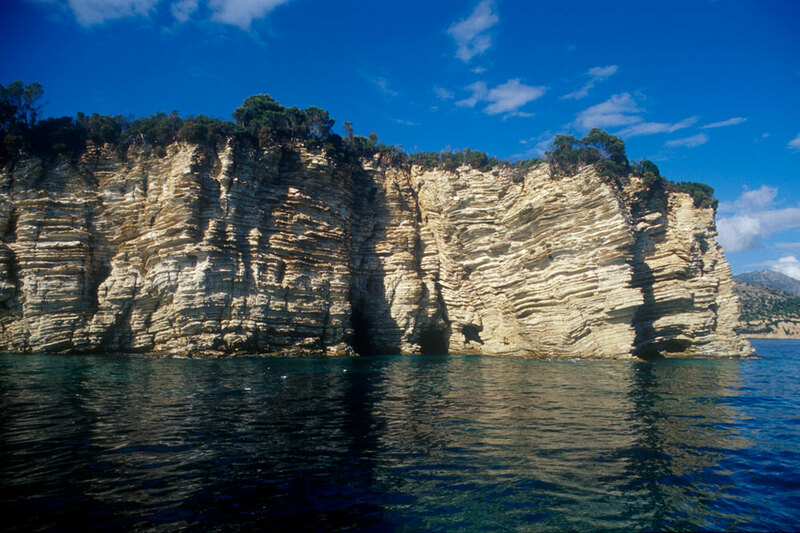 Spanohori is situated above the graphic cove of Spilia which is full of sailing boats in the summer. The village of Vathi is by the sea. The third village of the island is Katomeri which is hidden on he mountains above Vathi. 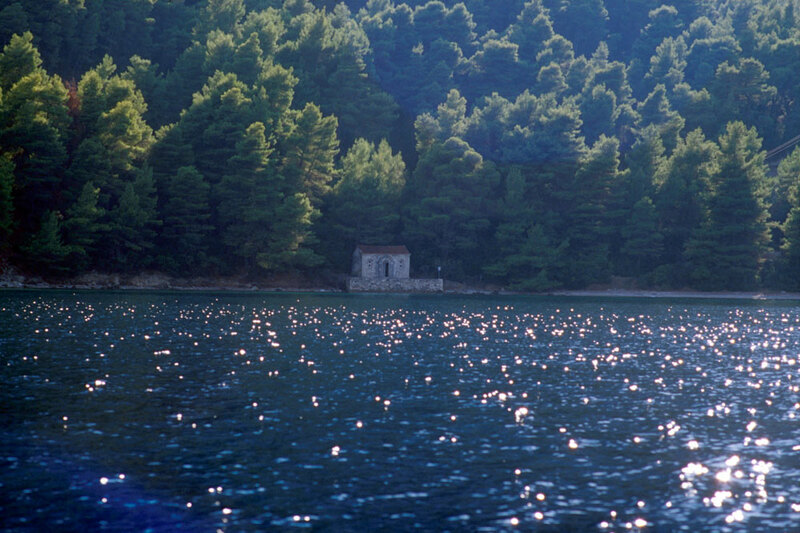 In the north of Maganissi there is a private island, Thilia, with a small church of Virgin Mary on. 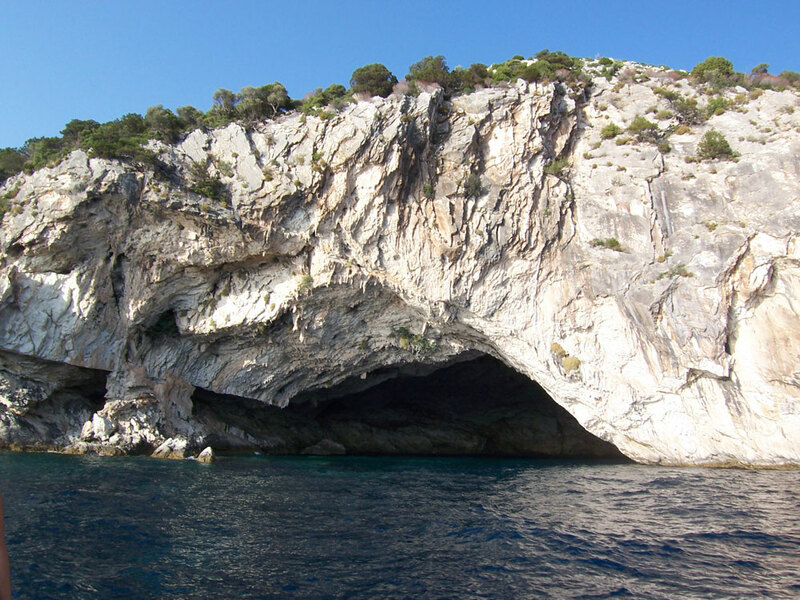 In the south-west of Papanicolis Cave there is the island of Petalou. 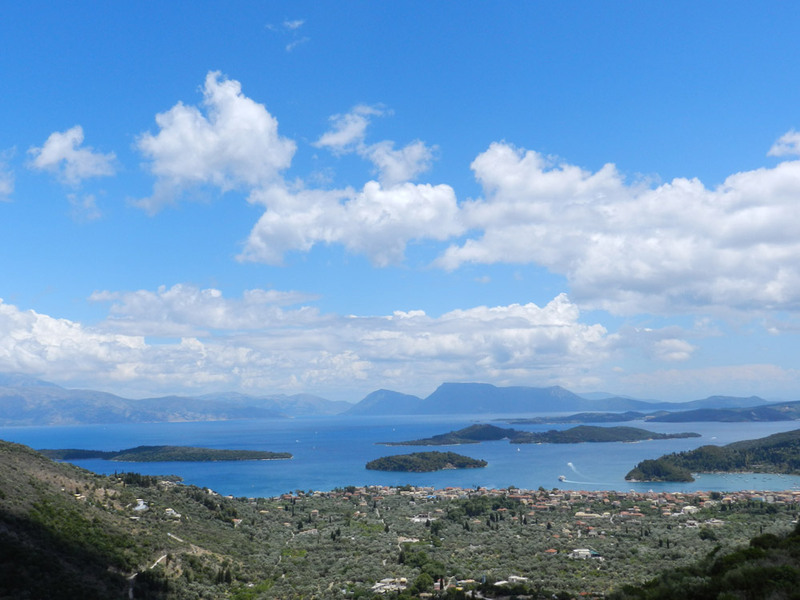 Across the south cape of Meganissi you can see Kithros and Arkoudi. 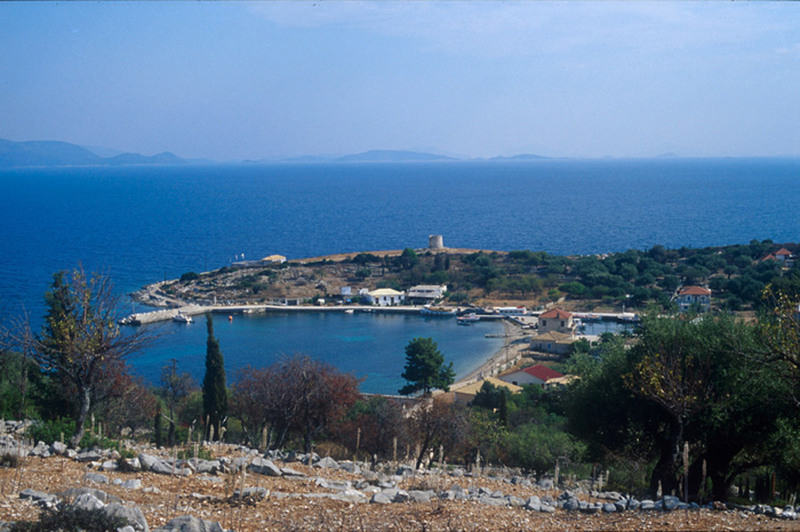 Kalamos and Kastos. These two islands are close to the Aitoloakarnania coast and seem to keep company to each other. 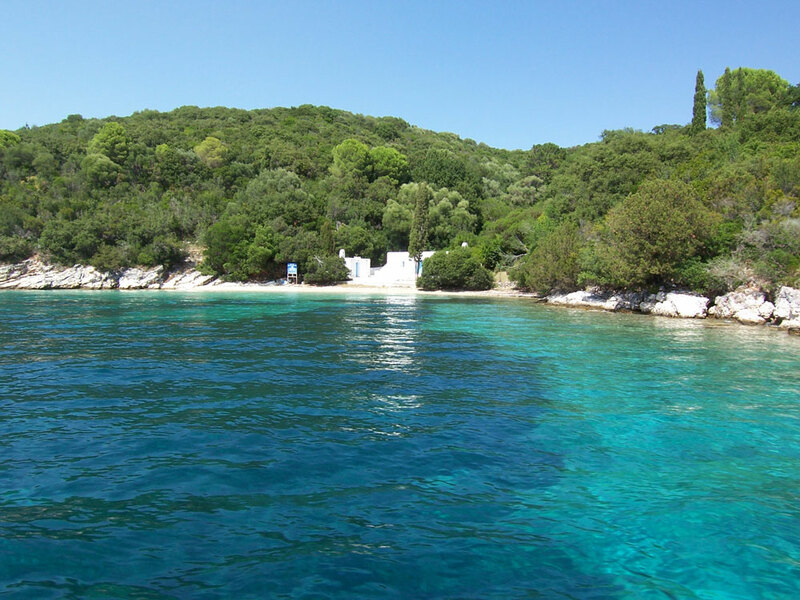 Kalamos is only 10 minutes away by boat from Mytica, a village in Aitoloakarnania. It looks like a green boat with all those pines and trees which cover it. On the beach of Agrapidia the windmills of World War II still exist. 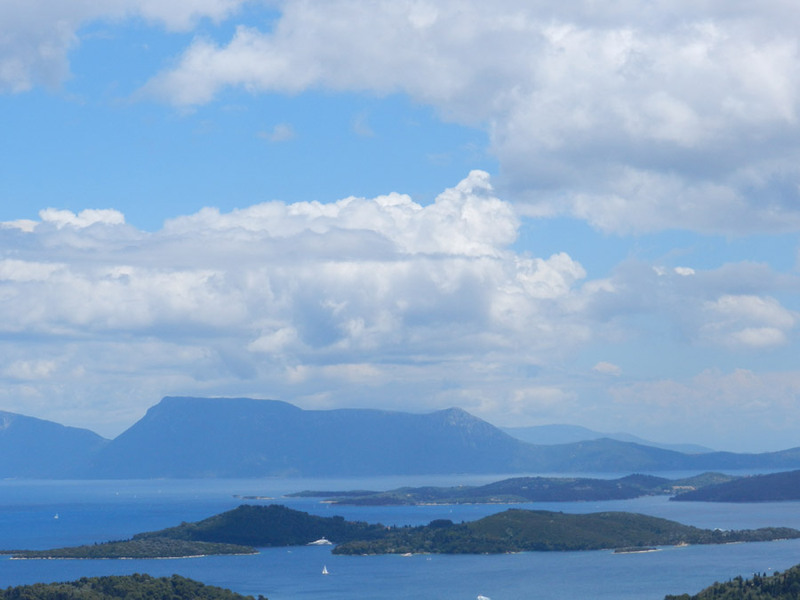 This is the circle of the islands around Lefkada.